August 27th: Trade union Unite has led protests at Waterford and Derry over union-busting behaviour at Derry-based Maydown Precision Engineering since its takeover by Waterford-based Schivo. The protesters demanded that Seamus Kilgallon, Chief Executive of Schivo meet with Unite to discuss his company’s responsibilities for the Maydown workforce under TUPE – (Transfer of Undertakings, Protection of Employment) – legislation. “Maydown Precision Engineering management has failed to abide by the terms of our collective bargaining agreement by refusing to engage with Unite over the TUPE transfer of the workforce to Schivo. They have proceeded to make compulsory redundancies among the core workforce, apparently targeting union members and representatives and continue to withhold approximately £10,000 in union dues collected from our members via a payroll ‘check-off’ arrangement. 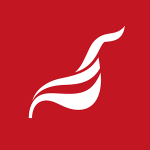 “There are fears among the workforce that the 15 job losses announced so far may increase substantially into the future, a fear which has been exacerbated by the management’s attacks on Unite. “Given his responsibility for the workforce under the TUPE legislation, I have written to the Chief Executive of Schivo requesting a meeting but, as yet, we have received no response. Today’s protests in Derry and Waterford have been organised by Unite to ensure management understand that our union is not going to roll over and allow the workforce to be decimated. “These protests follow on from previous actions organised by the Derry Trades Council and community activists last Friday. Unless Schivo reverses course, Unite will be forced to step up our protests alongside our pursuit of legal redress and an industrial response”, Mr Thompson concluded. This entry was posted in Austerity, Benefits Reform, Campaigns, Northern Ireland news, Press Releases, Republic of Ireland news, Solidarity and tagged #Unite4Jobs, Davy Thompson, Derry/Londonderry, job losses, Maydown Precision Engineering, protest, Schivo, union recognition, Waterford, workers' rights. Bookmark the permalink.